Concrete Minerals are a USA based company created in 2009 that offer a huge selection of high quality, 100% preservative and cruelty free loose minerals eyeshadows. Concrete Minerals also take pride in all of their products being completely gluten and fragrance free, with a whopping 98% of all of their products being vegan. 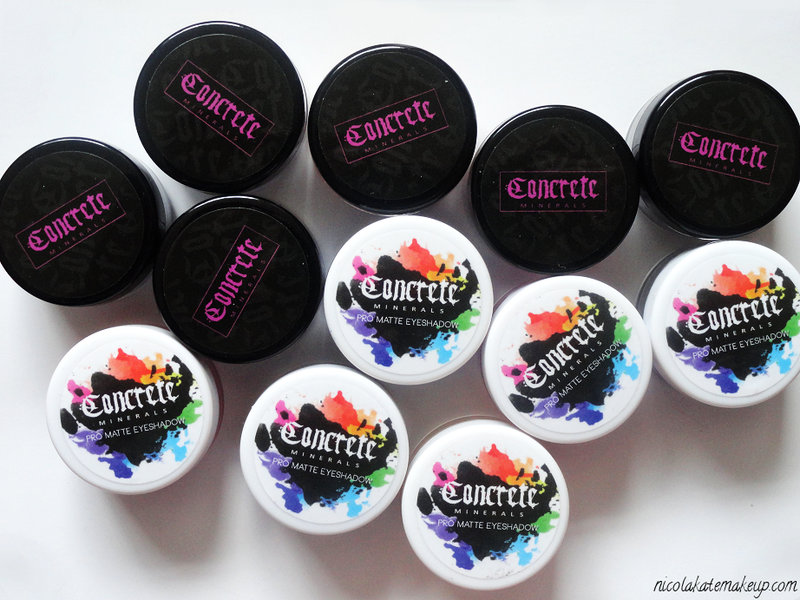 Each Concrete Mineral's Mineral Eyeshadow comes in a generously sized jar, each containing a net weight of 1.5 grams of product. 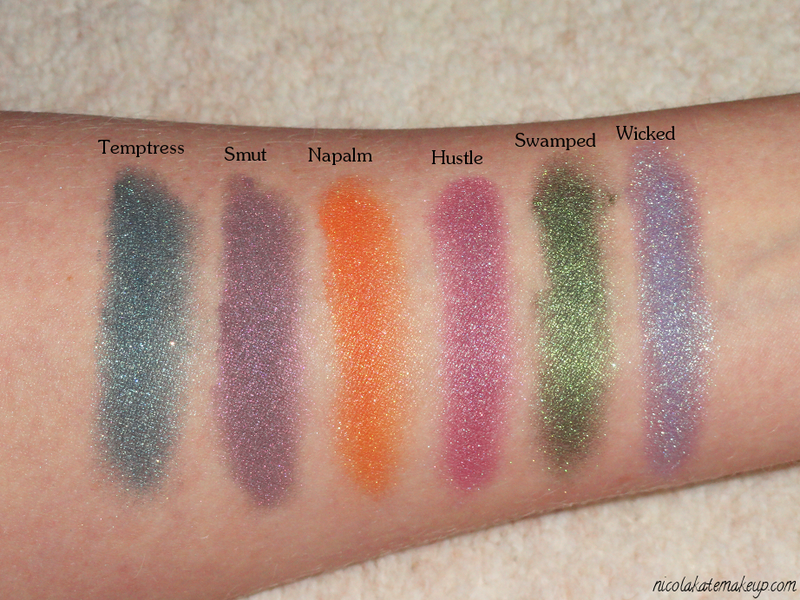 Keeping in mind that these shadows are extremely pigmented and go such a long way, at only $7 each they are an absolute steal. ALL of these shadows were swatched without the use of a base. Aren't they beautiful? Each shadow glides on effortlessly and the fact that they didn't need a base to come out looking this beautiful speaks for itself. Unlike the shimmery mineral eyeshadow that are swatched above, Concrete Minerals' Pro Matte eyeshadows come with a larger net weight of 2.5 Grams of product in each jar, and all for an extra dollar. These are easily some of the most pigmented matte eyeshadows that I've ever had the pleasure of using and I think the image below is pretty self explanatory. 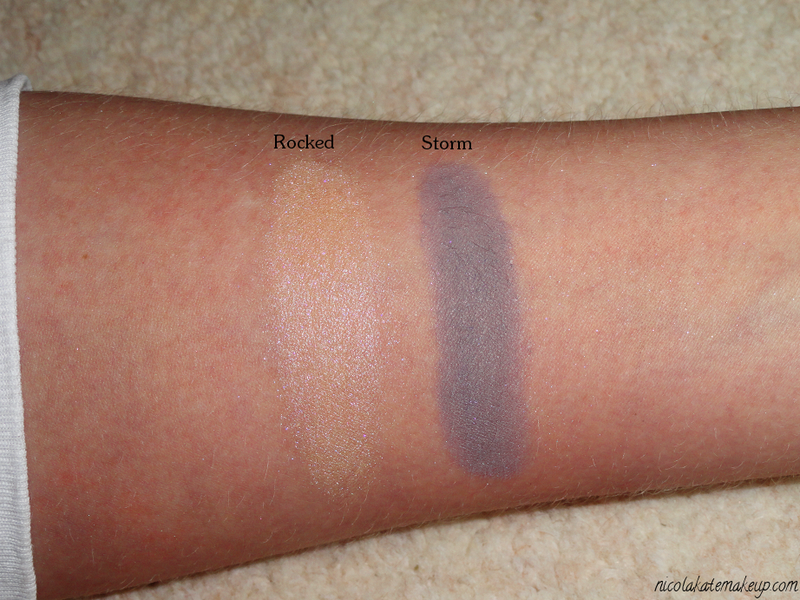 These shadows were also swatched without the need of a base - pretty amazing, huh? 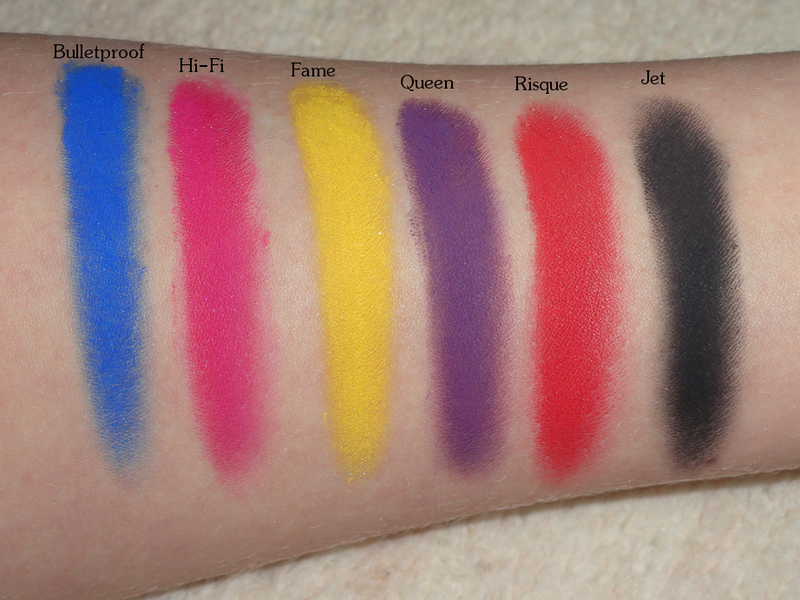 There is a huge array of other colours and shades available to choose from on the Concrete Minerals website, so go, go, go! Let me know which are your favourites!